North Korea’s “measures for bolstering the nuclear force to the maximum will be taken in a consecutive and successive way at any moment and any place decided by its supreme leadership,” the spokesman said. Reclusive North Korea has carried out five nuclear tests and a series of missile tests in defiance of U.N. Security Council and unilateral resolutions. It has been conducting such tests at an unprecedented rate and is believed to have made progress in developing intermediate-range and submarine-launched missiles. It test-launched a missile on Saturday which Washington and Seoul said was unsuccessful, but which nevertheless drew widespread international condemnation. 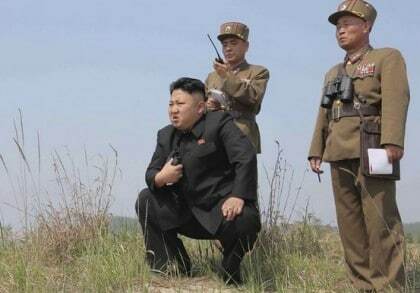 North Korea in recent times have launched ballistic missiles threatening Japan and South Korea. In March, North Korea fired four ballistic missiles into the sea off northwest of Japan, which appeared to be a promised retaliation over U.S.-South Korea military drills, creating more tension in the region.